Have you reached the conclusion that you are ready to unlock your Android phone or iPhone? Whether it is to have more freedom regarding how you configure your device or to make it easier to trade in, unlocking your cell phone is a piece of cake if you know where to start. Here is all the information that’s needed to unlock a cell phone with the four major carriers as well as a little information regarding some questions you may have about unlocking. Is unlocking my cell phone legal? Your device must be paid in full. Your device wasn’t reported stolen or lost. The device was designed for use on the AT&T network. There is also a limit to how many devices AT&T will allow a customer to unlock in one year. Current customers are allowed to unlock up to five devices each year per account in good standing. Previous customers may also unlock up to five devices each year per former account in good standing. For full details and information regarding eligibility requirements for unlocking an AT&T device, visit the AT&T support page. If you meet the above requirements and are ready to unlock your AT&T device, the best place to begin is at the AT&T Device Unlock webpage. Here you will find all the necessary information regarding your account status and device. The device’s IMEI number. The IMEI number is the device’s serial number. It can also be found on the original box, under the battery, on some models it is also on the back of the device, by dialling #06, or by going to Settings > General > About. Most smartphones offered by Verizon Wireless work on GSM and CDMA networks. Verizon has allowed this so that customers have an easier experience when traveling. Most carriers outside the U.S. use GSM technology. Unlike many other major carriers, Verizon does not lock most of their devices anymore. The majority of Verizon smartphones that are 4G LTE capable already and have a SIM card slot come factory unlocked from the carrier. Those that own non 4G capable devices that support SIM cards will need to request a device unlock. To make a SIM card unlock request, call 1-800-711-8300 (Verizon Global Support) and ask the representative for a SIM unlock. For more information on unlocking a Verizon phone, visit Verizon’s device unlocking policy webpage. T-Mobile has set in place multiple requirements necessary to complete an unlock request. Fortunately, the requirements are very simple and similar to most other carriers. The device unlocking is requested for has been active on the T-Mobile network for at least 40 days. If you meet the above requirements for unlocking a T-Mobile device, you must then call customer care by dialing 611 from the device to be unlocked, or 1-877-746-0909. Make sure you have ALL of the following information on hand when you call as it is needed to complete the unlocking process. If you are missing any of this information, you will have to call back and start the process over from the beginning. For more information on unlocking a T-Mobile phone, visit T-Mobile’s online unlock support document. Sprint makes unlocking your device about as easy as it gets. Only a few years ago, Sprint was difficult to work with regarding unlocking, however they took some major steps toward making unlocking a painless process. Post-paid customers with SIM unlock-capable devices will have their device automatically unlocked by Sprint as soon as the device is eligible for it. You need not initiate any calls or submit any forms for this to happen. Sprint also has some requirements in order get your device unlocked. If your account is in good standing and you meet the requirements, they should unlock your device in 5 days if possible. For customers that need to call in to have their device unlocked, Sprint Forward customers can contact Customer Care at 855-639-4644. For inactive devices, contact Sprint Customer Care to request a SIM unlock-capable device be unlocked. An over-the-air update may be necessary to unlock the device. Additional validation may be required to ensure eligibility. Sprint makes no guarantee that an unlocked device will work on another carrier’s network. For more information on unlocking a Sprint phone, visit Sprint’s unlock FAQ. The FCC ruled that unlocking is legal. There was a time not so long ago when carriers did not have to unlock phones for consumers, or could even charge exorbitant fees to do so. Now however, cell phones must be unlocked by request at the end of their contract. Carriers will post clear and accessible information on their websites about how to unlock devices. Carriers will unlock devices for consumers upon request who have completed their contracts. Carriers will unlock prepaid devices within a year of activation, subject to “reasonable time, payment or usage requirements,” upon request. Carriers will either automatically unlock them or notify consumers when their devices are eligible. The process for unlocking devices will be started, if not completed, within 2 business days of an eligible request. Military personnel away overseas will be able to unlock their devices. While all carriers are now bound to unlock cell phones should all legal requirements regarding unlocking be met, each carrier has some slight variations in their policies regarding the process. 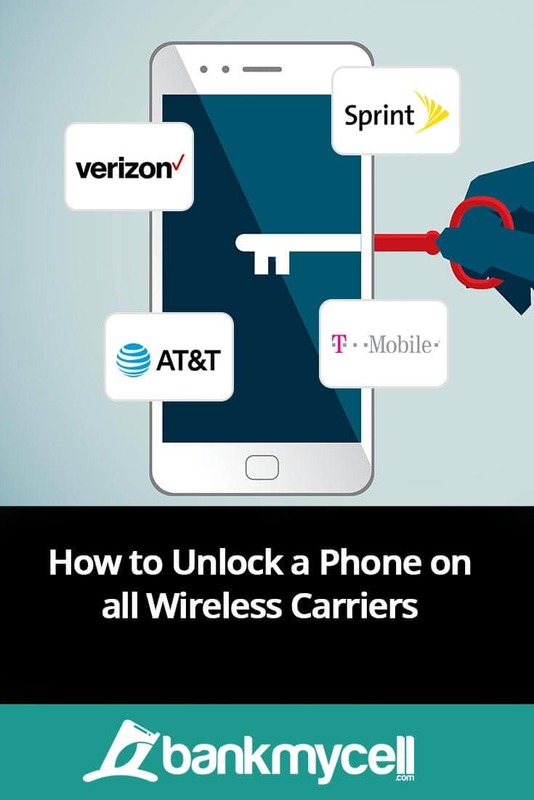 For instance, the process you may have used to unlock an AT&T phone will be slightly different than that of a T-Mobile phone, so make sure you have checked unlocking details on their websites, at one of their sales centres, or by calling customer care. On a final note, customer care representatives from all major phone companies are notoriously overworked and are too often on the receiving end of some pretty harsh treatment from disgruntled callers. My best advice to you is to be as kind and understanding as possible. This is truly a situation when being decent can be the difference between getting amazing customer care and just the bare minimum. Be aware they may try and sell you an upgrade too if they think you’re changing, the best thing to do is shop around first before taking the first deal offered. Let me know any questions or updates by leaving a quick comment below right now!